Content is the driving engine to scale reach, increase visibility and boost sales. Regular posting of quality content increases the credibility of your business in front of the potential customers. Therefore it becomes quite important for you to market your content strategy. And content strategy starts with the publication of your business blog. A blog is a place where you host valuable content, market product or create a thought leadership channel. 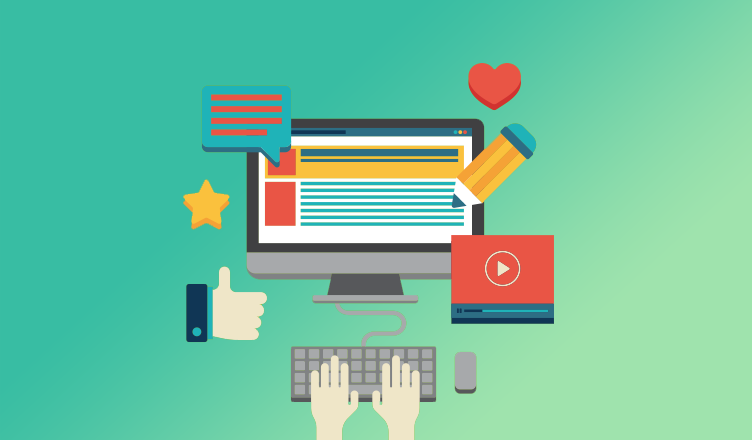 With minimal expense, you can engage your readers by simply publishing a blog. Think your website as a pond and blogs as fish in that pond. SEO are the hooks Google has in the water. The more fish you have in the water, the more likely you are able to be picked by Google. Blogs increases the value of your domain as it becomes more indexed in the search algorithms. It directly improves the organic visibility, thereby increasing website traffic. Every blog has the potential to convert a potential reader into your customer. Your content gives you the opportunity to generate leads, simply add a call-to-action button to each blog post. Add value preposition and tell your customers why your product or service is better than the existing competitors. An active blog sends a positive signal to your audience that your business is alive. Posting blogs is the best way to establish your business as an expert in the segment you are operating. Your blog is an official platform to market your product, publish official communication and engage directly with the customers. Consistent publishing builds authority and breeds trust in the minds of your readers. For example, PayUmoney publishes India’s first knowledge platform for SMEs through blog.payumoney.com. It is official blog product of India’s best payment gateway provider, PayUmoney.com. Publishing quality blogs increase your chances to get social shares. Social sharing brings traffic directly to your website. All you need to do is identify social media channel where your target audience is present. Start publishing your content at regular intervals. You can also create a newsletter to further market your content to a large audience base. Add social sharing buttons, so that your visitors can easily share your content. 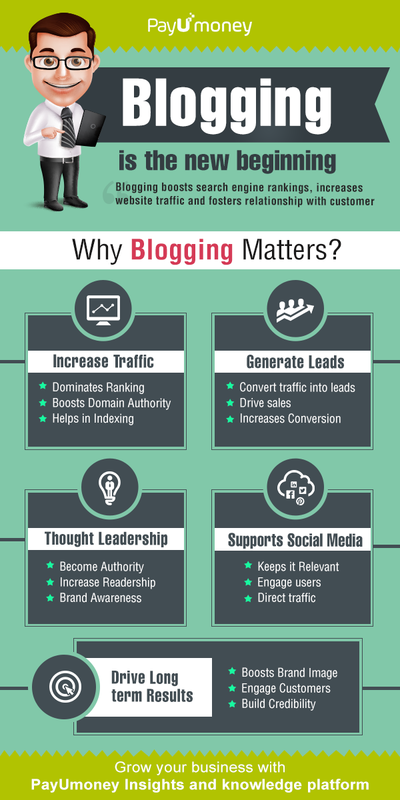 Blogs are an effective medium to share your thoughts and insights to your audience base. It increases search traffic, customers trust, brand image and ultimately sales. Consistent engagement boosts loyalty and your audience will start segregating you from your competitors. It will give your online business a distinct advantage. Also read our blog on ‘Tips to Increase Free Traffic to your Website’. Stay tuned in for more updates, insights and case studies.